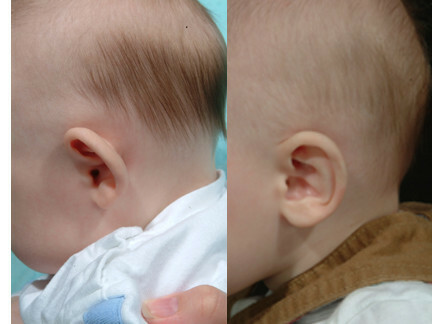 Prominent ear or cup ear deformity in newborn infants appear cute and the overall shape of the ear is good. As a result the prominent infant ear deformity frequently goes unnoticed and is not diagnosed in time for effective molding therapy. 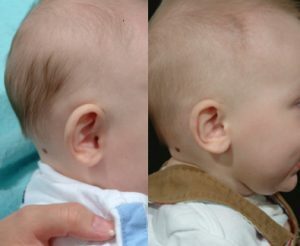 We reviewed the ear projection of 100 consecutive newborns and found normal projection to be under 7mm when measured from the mid helical rim to the mastoid. Over-projection is significant when the newborn ear projects more than 9mm from the mastoid. To detect this small variance, careful examination and scrutiny is required. 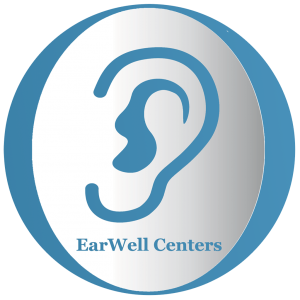 The EarWell Infant Ear Correction System is perfectly suited for the correction of the prominent ear deformity in newborns. It not only shapes the antihelical fold but also decreases the conchal-mastoid angle through forward pressure delivered through the conchal former. Of significance to the prominent ear deformity in infants is the frequent presence of a conchal crus. When the conchal crus extends across the conchal symba to the back, vertical wall of the concha, excessive projection is often seen. The EarWell, with forces mediated by the conchal former, is the only non-surgical way of correcting this problem. Dr. Steve Byrd will often extend EarWell molding therapy when a resistant conchal crus is present or when there is a strong family history present. In these instances a third EarWell is almost always used followed by one month of EarWell retaining tapes. The cup ear deformity is a more severe form of prominent ear where an incomplete opening or folding out of the ear occurs. This phenomenon can be compared to the opening of a flower from a “bud” where the flower does not attain full bloom. In the cup ear it is as if there is a “purse string around the helical rim preventing its full opening. These small protruding ears benefit remarkably form the EarWell as it not only expands the helical rim but also expands the inner conchal dimensions.